As if that mission weren't daunting enough, the Staff of Lore has appeared on the planet. As has the man who stole it: Alisa's father. This series has been such fun to listen to. Each book adds another layer to the last story. 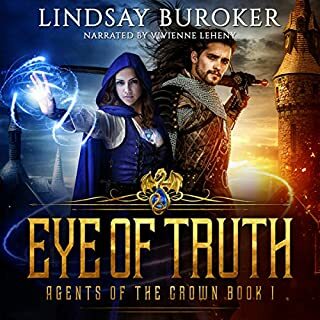 The characters are still interesting and fun and you can't help but cheer them on. 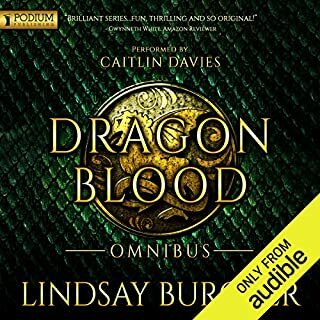 Thank you Audible and Kate Reading for bringing this to life! if you loved fire fly then you will love this story. it keep you coming back for more!!!! 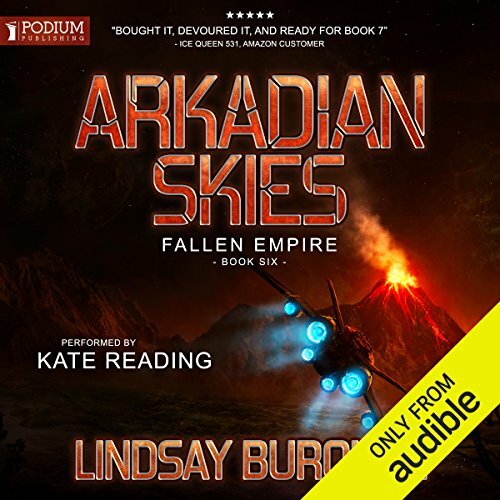 Lindsay Buroker's "Fallen Empire" series just keeps getting better and better, "Arkadian Skies" is wonderful! The characters, their relastionships, and adventures are woven into a fantastic tapestry of action, adventure, and humor. Kate Reading's performance is flawless, bringing each character to life perfectly. I can hardly wait for the next one. Awesome. The adventures f Alisa and Leonidas continues. I hoe their personal problems will be solved in the next book. 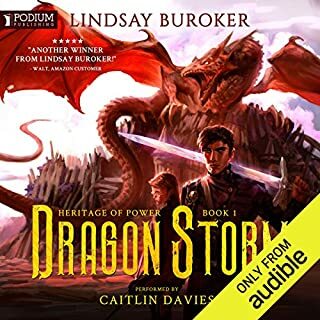 Lindsay Buroker is an excellent and brilliant writer. All her series are interesting and there are lots of action throughout. Also her narrators are very good in their performance/narrating. I am looking forward to the next which I hope will be published soon. Great series!!! 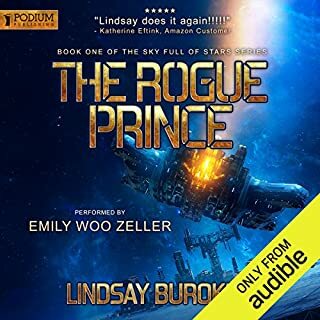 If you loved Firefly you will likely like this series. 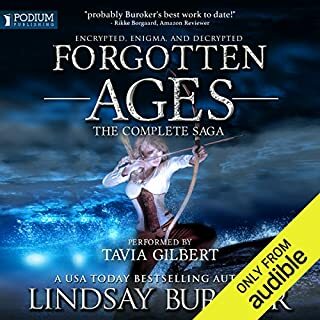 Where are book 7 & 8 Audible? the characters are serious caring and funny. I feel like I'm there on the Nomad. Great! 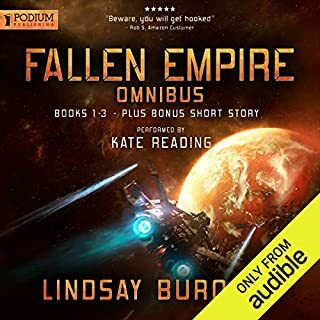 Want book 7&8 in fallen empire please! Science Fiction with a fresh of fantasy, and enough snark to be amusing. A fighter travels a planetary system with three stars and considerable political disunity, with an eclectic mix of passengers while trying to find cargo to haul. The book is fun to read, I like the banter and witty remarks between the characters. I think it's about time she finds her daughter or it's frustrating how she is a step behind all the time and she should put a stop the AbaloadofAss always reading her mind, I mean really..who could take all the invasion of privacy...even if he's a Starseer. I Reeaally like this series and I hope it continues after she finds her daughter. Looking forward to book 7.